In the third and final match of the T-20 series played in Dubai International Stadium, Dubai, Pakistan defeated New Zealand and again restored the crown of victory over its head and won the 3-0. 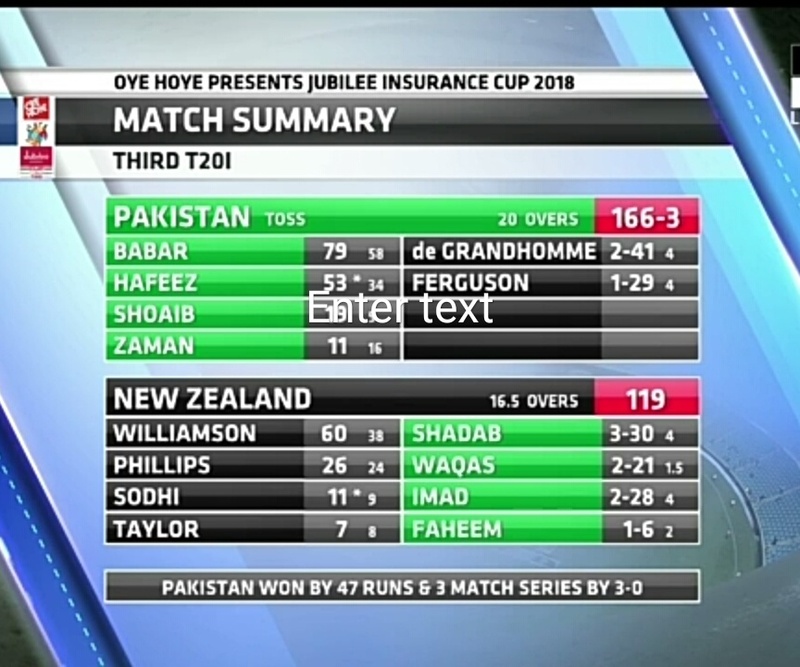 Pakistan posted 167 runs for New Zealand to win with the help of Babar Azam's 79 and Hafeez's unbeaten 53 of 34 balls. But no other batsman could stand in front of the Pakistani bowlers besides the captain Kane Williamson, he scored 60 runs while facing only 38 balls with 8 fours and 2 sixes. Shadab Khan was a successful bowler for Pakistan who showed the path to Pavilion to three New Zealand players. Waqas Maqsud and Imad Wasim picked two wickets, while Fahim Ashraf took one wicket. New Zealand's entire team was able to score only 119 runs in the pursuit of the target of 167 and Pakistan won the third T20 by 47 runs to white wash the New Zealand 3-0. 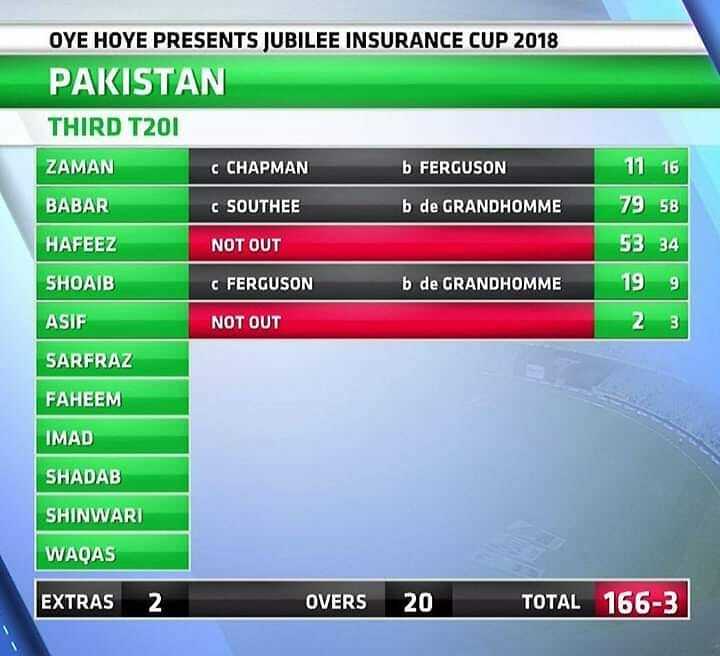 Earlier, Pakistan won the toss and decided to bat first against New Zealand, and made 166 runs for the loss of three wickets in the fixed twenty overs. 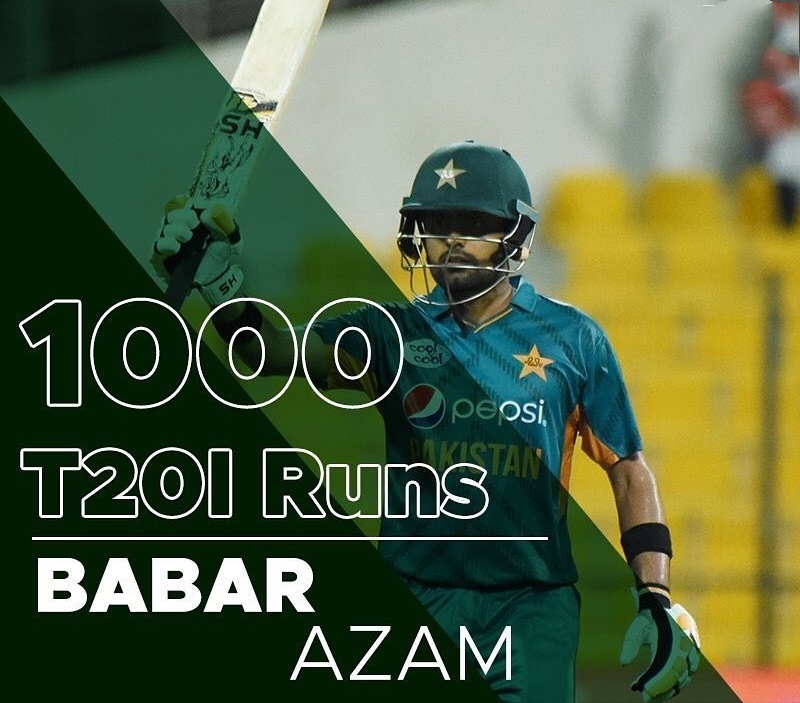 Pakistan's young batsman Babar Azam scored 1000 T20 runs in 26 Innings and left Virat Kohli behind who had reached thisi milestone in 27 Innings. Along withe this, Babar Azam also became the second youngest player to score 1000 runs in T20. 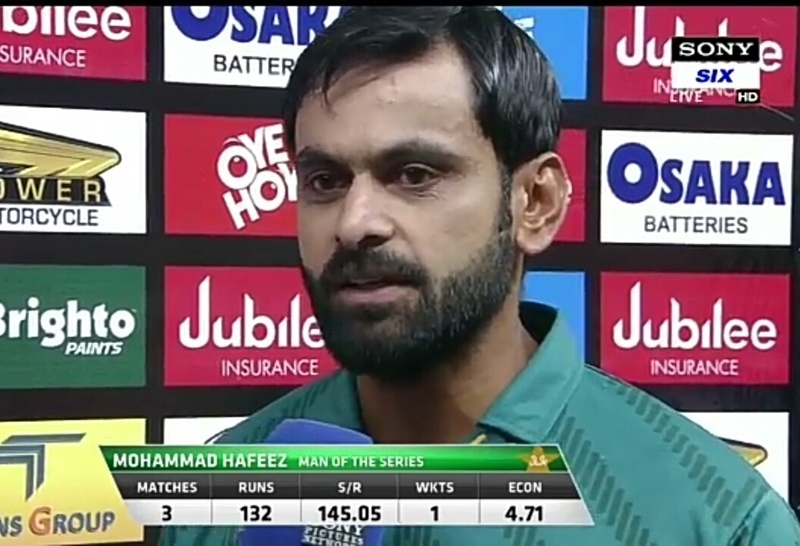 With this victory, Pakistan have won 9 consecutive matches without facing the defeat. 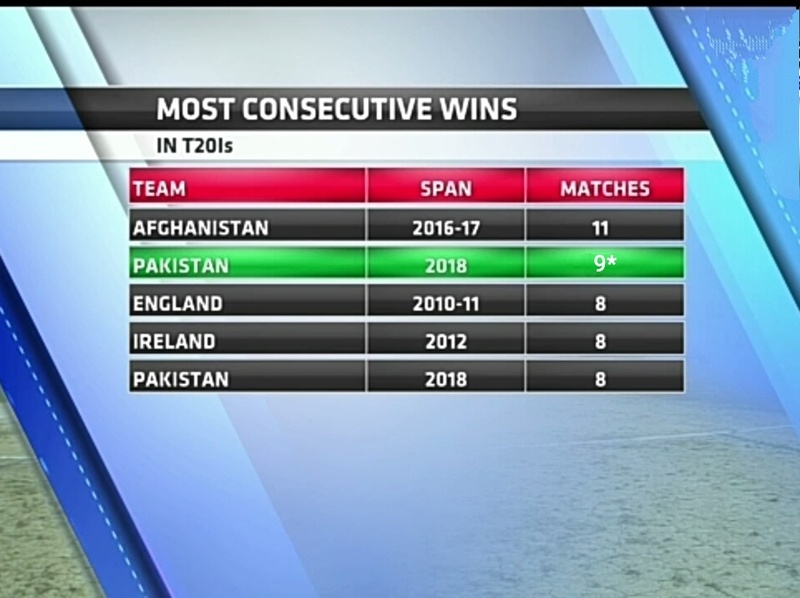 This long success standa second in the list of most victorious continuesly behind Afghanistan who had won 11 consecutive T20s. 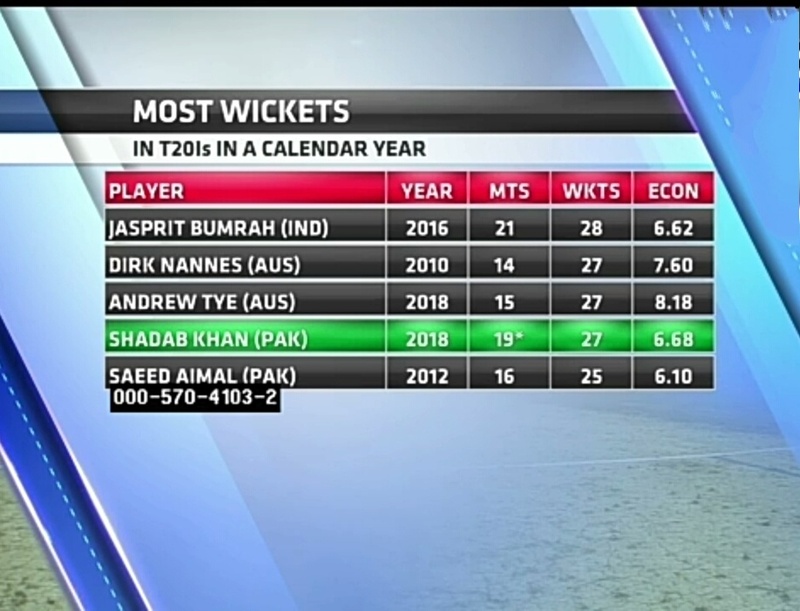 Shadab Khan became the highest wicket taker in a calendar year, he has picked 18 wickets 28* wickets in 19 matches. With this, he left India's star bolwer Jasprit Bumrah behind who had picked 28 wickets in T20 in the year 2016. Pakistan, who won the most T20 series by 3-0, has become the only team to win 11 consecutive T20 series. The 'Men in Green' has bowled the opponent team for 31 times, which is mega unbreakable world record. The next best in the list is of Australia and New Zealand who had picked bowled out for 19 times.